Data released by the United Nations International Migration Report 2017 showed that around 258 million people lived in countries other than in which they were born. According to the United States State Department, around nine million Americans live outside of the country. Among the people who move to foreign shores, there are several who wish to purchase homes. However, buying a home in a foreign country requires that you consider various factors. In the U.S., people of foreign origin enjoy almost the same home buying rights as American citizens. This is also the case with countries such as the UK, Germany, and Spain. Foreign buyers in Australia may purchase new homes but they cannot buy established homes. Foreigners in Mexico may purchase property easily, except if it’s located in a restricted area. In such a case, a foreigner may still purchase a property through a trust agreement made with a Mexican bank. Understanding local regulations is crucial when you buy a new home, and if you seem overwhelmed by the process, it’s best that you get professional assistance. Local real estate agents, for instance, might have unique listings that you cannot find online. A lawyer who specializes in real estate, on the other hand, can help verify the home’s title and transfer it in your name. Using the services of a professional home inspector is also a good idea when buying a home from the secondary market. Real estate agent fees carry from one country to another. In the UK and Canada, buyers don’t have to pay any estate agent fees as they are borne by sellers. If you use the services of a real estate agent in India, you will need to pay one to two percent of the home’s selling price as fees. In Germany, it varies from two to six percent. Lawyer fees are typically open to negotiation. 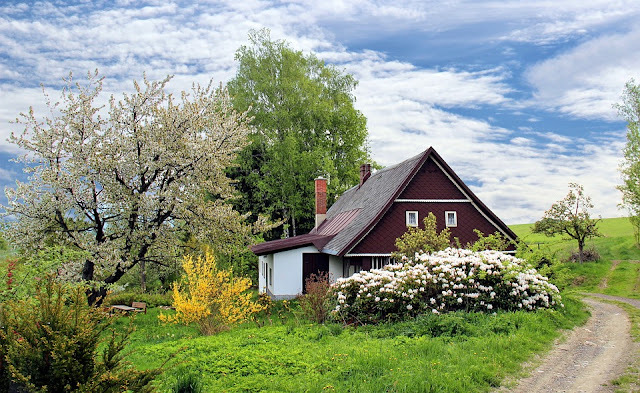 Depending on the country where you purchase a home, you might need to keep paying property tax for as long as you own the home. Upon selling the home, you might be subject to capital gains tax. Some places impose additional taxes on foreign home buyers. Besides, while you might not be a citizen of the country you move to, you might still need to pay all applicable taxes. Banks in several countries provide home loans to foreign nationals, although banks that cater to this segment are few. Besides, eligibility criteria for foreign borrowers are typically very stringent. If you end up qualifying for a loan, you might need to pay 30 percent to 40 percent of the home’s selling price as down payment. Getting pre-approved might work well for you as you get an indication of how much you can afford. If you plan to make the down payment or pay any of the associated fees from a foreign country, you get to choose from banks and overseas money transfer companies. More often than not, the latter tend to fare better than the former when it comes to cost effectiveness, convenience, and speed. Some of the leading money transfer companies that you may turn to include XE Money Transfer, WorldRemit, and OFX. If you plan to buy a home in a foreign country, getting professional help will hold you in good stead. What’s important, though, is that you establish a budget at the onset, compare your options well, and don’t make decisions in a hurry.